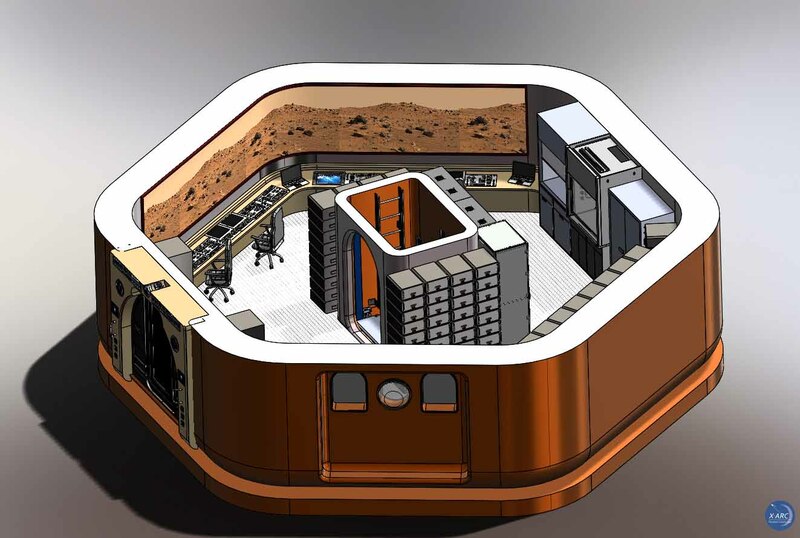 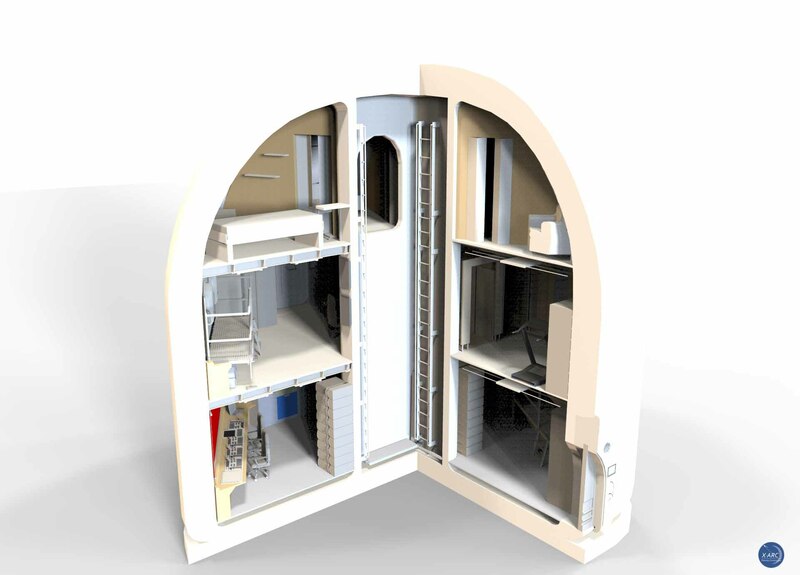 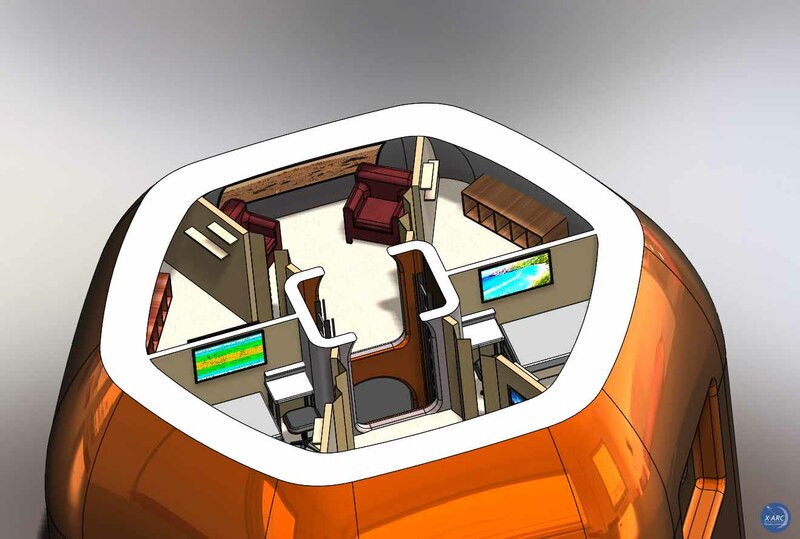 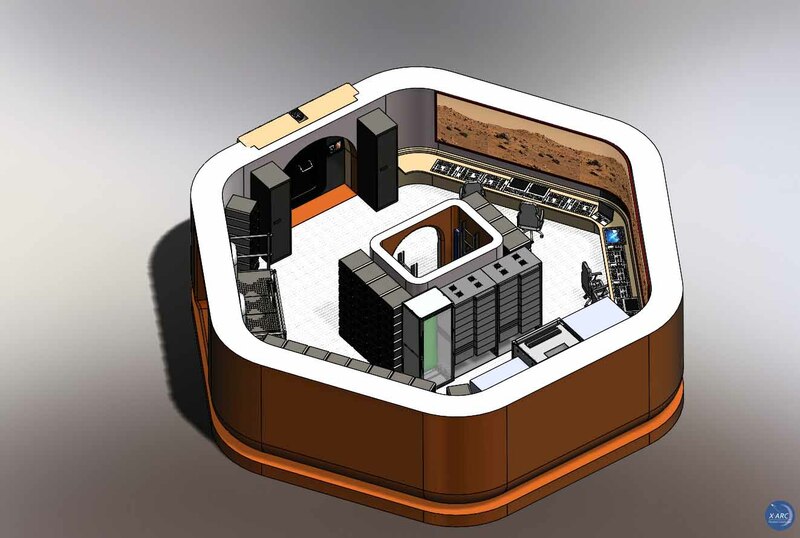 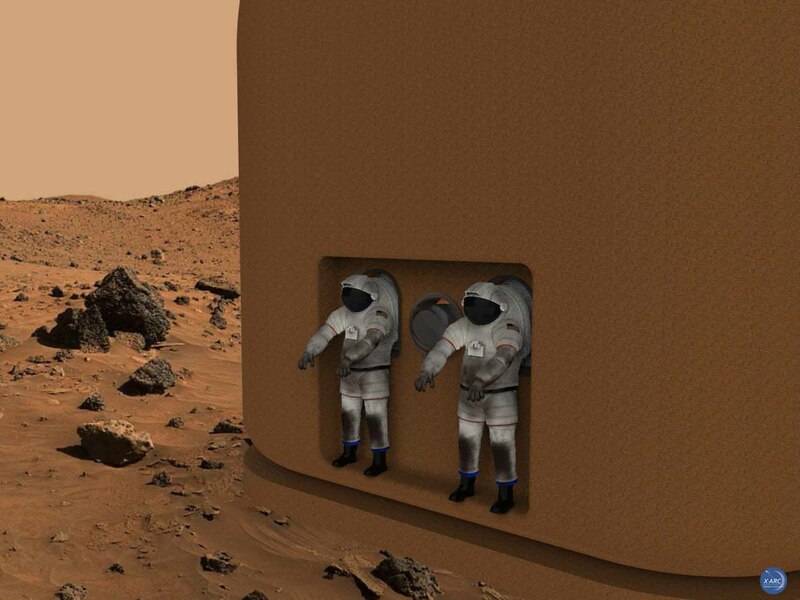 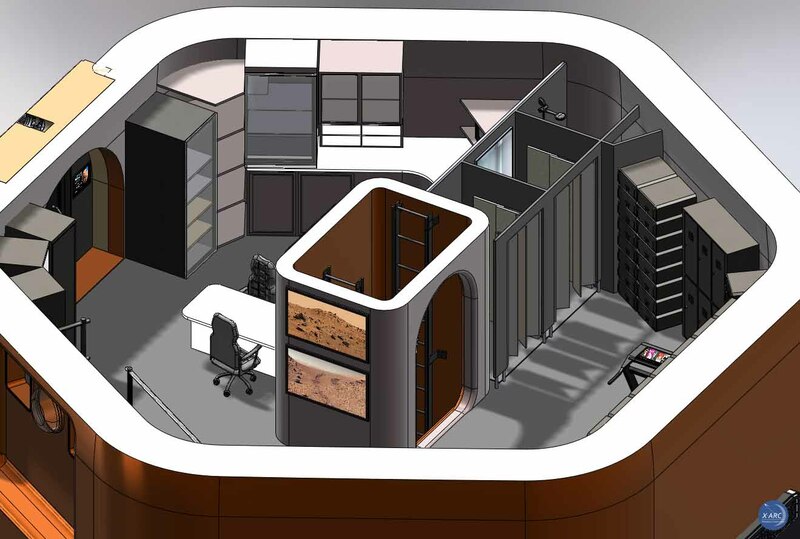 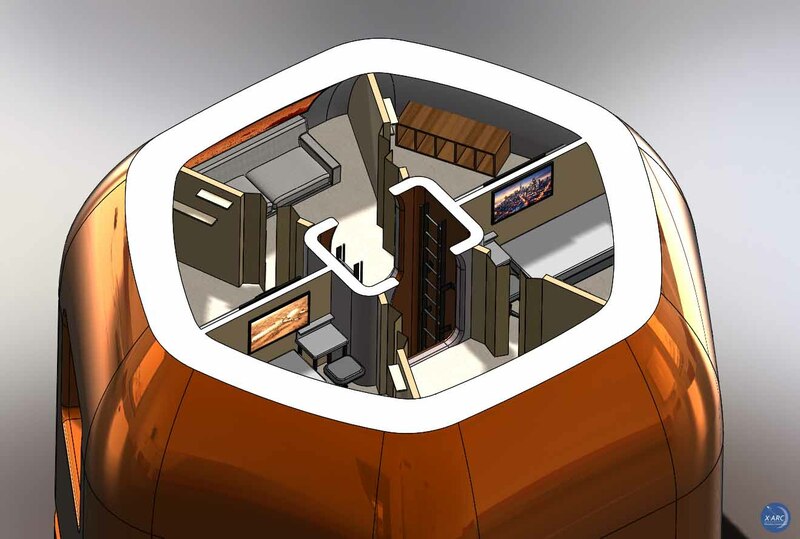 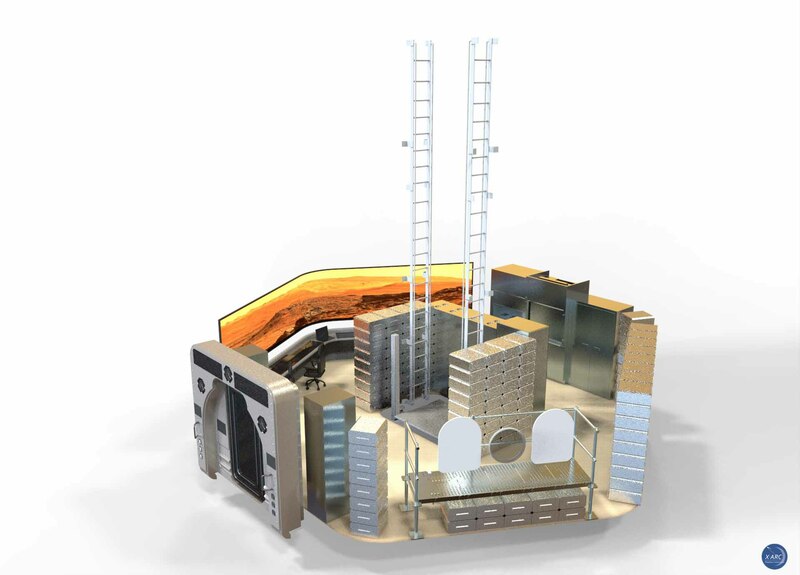 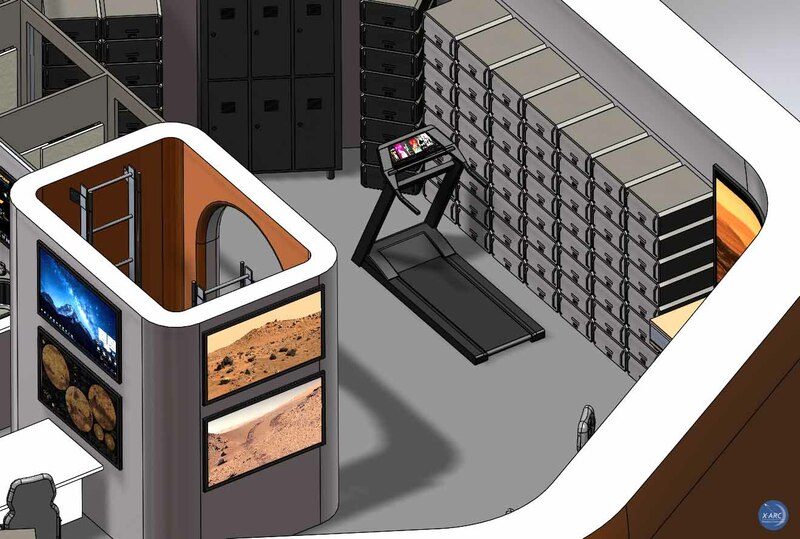 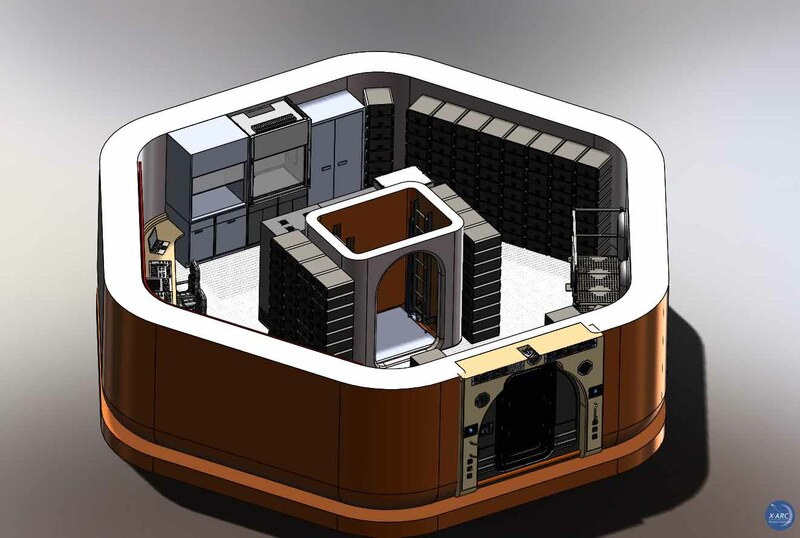 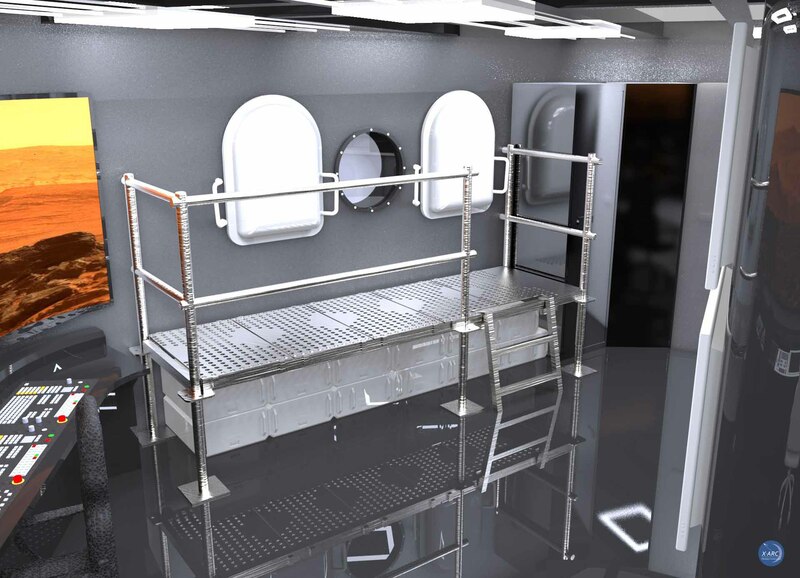 HexHab is divided into three deck levels with the lower deck as the main work/laboratory area and location of Environmental Control and Life Support System (ECLSS) equipment and Mechanical, Electrical, and Plumbing (MEP) utility feeds up through the central shaft. 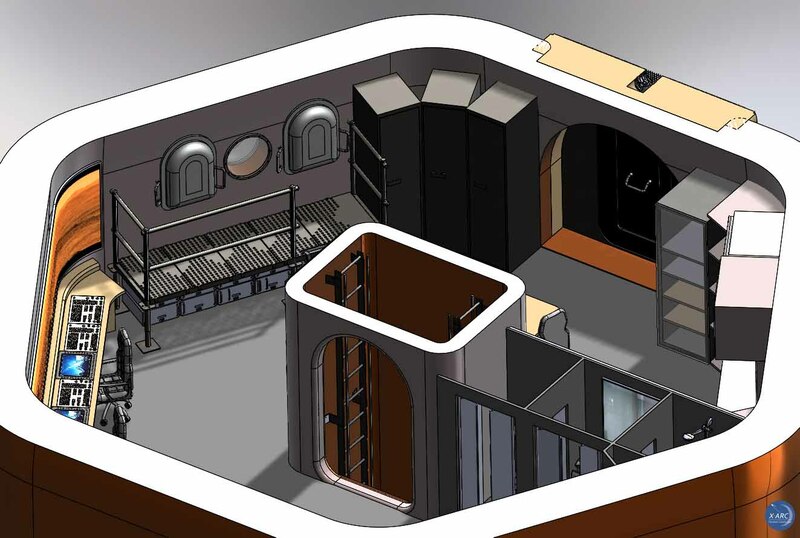 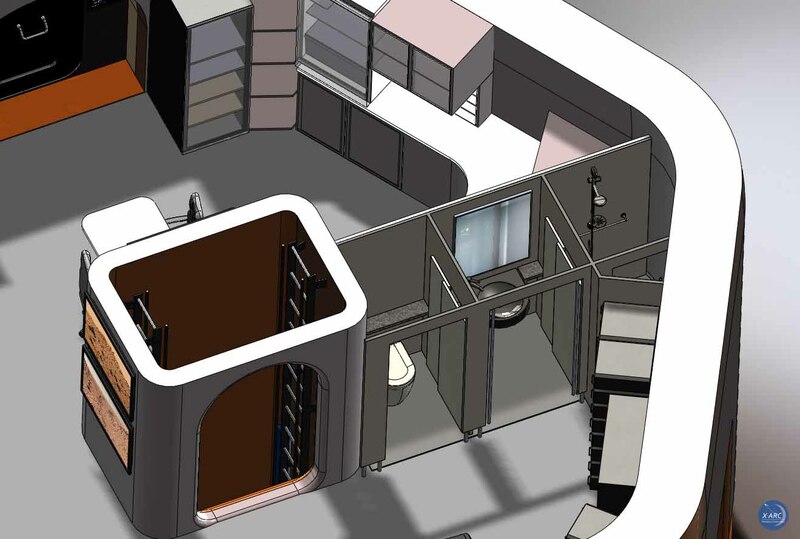 The mid-deck is for operations, galley and ward room, personal hygiene and exercise. 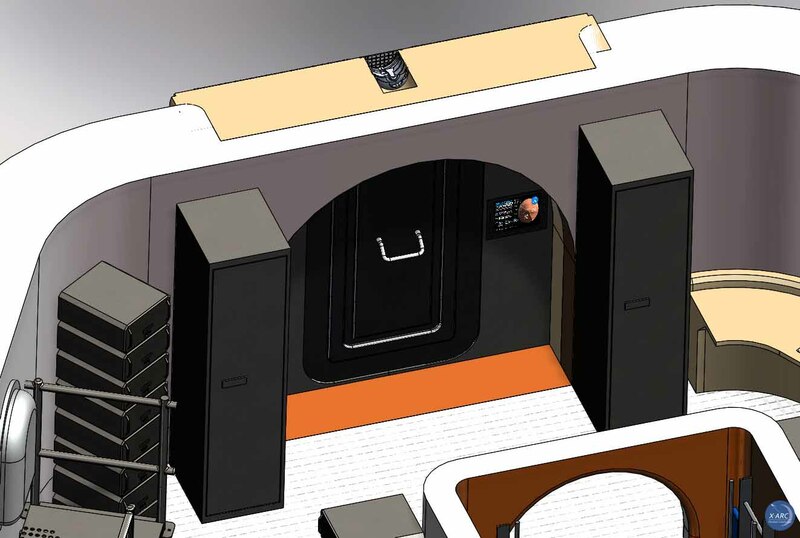 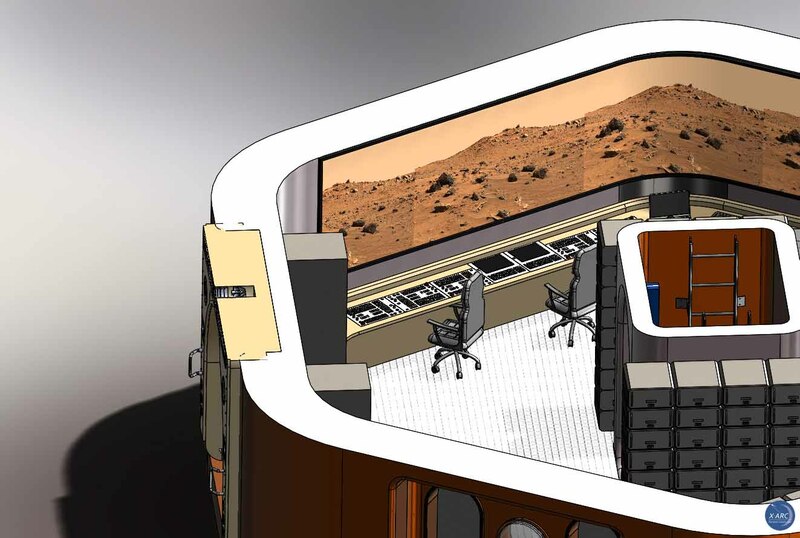 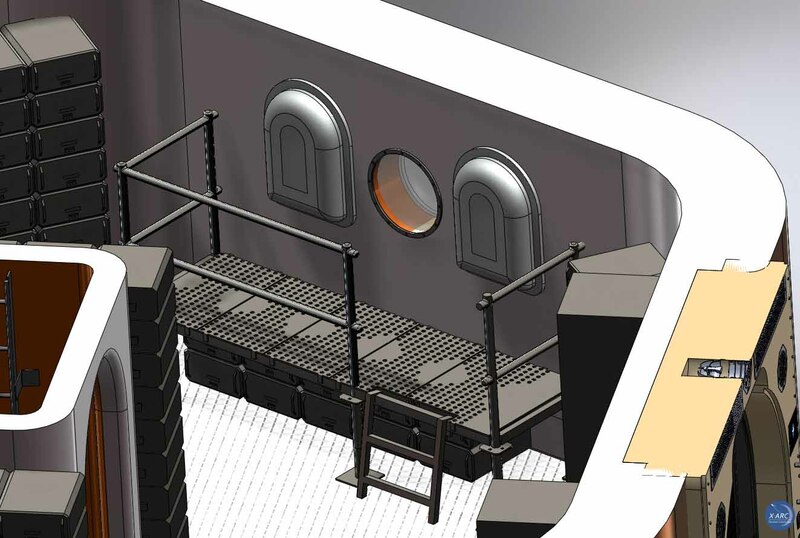 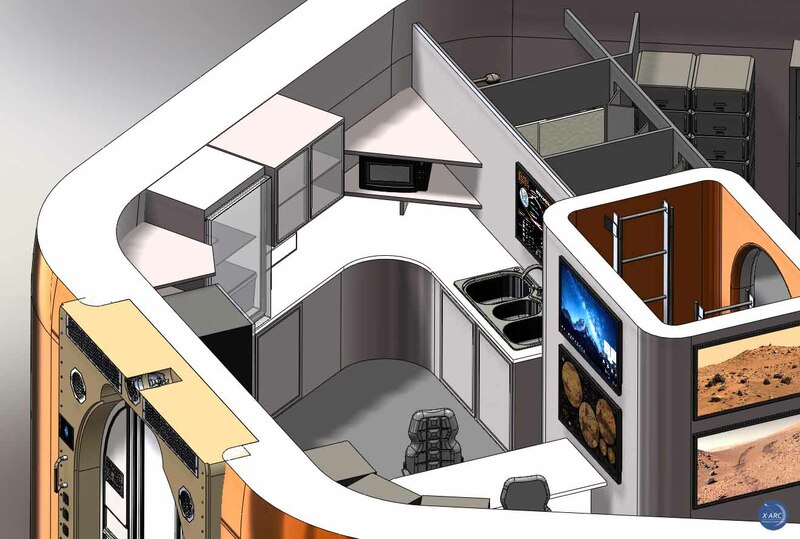 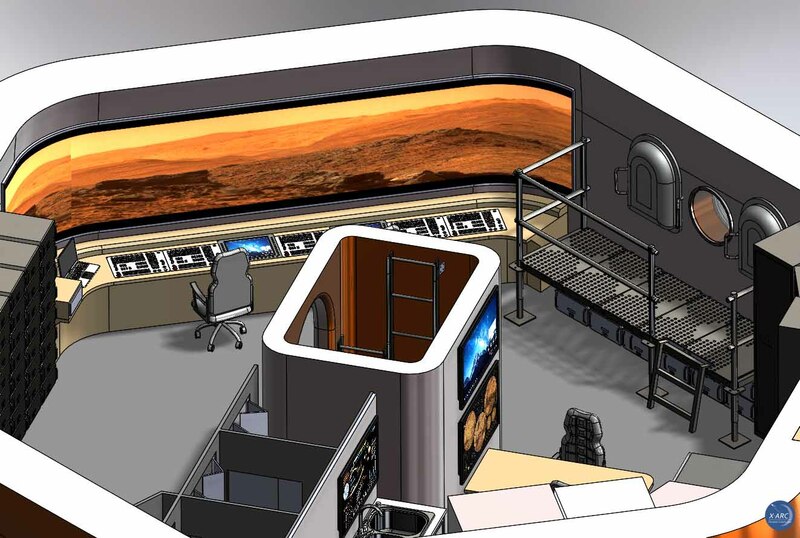 The upper-deck is reserved for personnel crew-quarters and lounge areas.